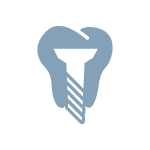 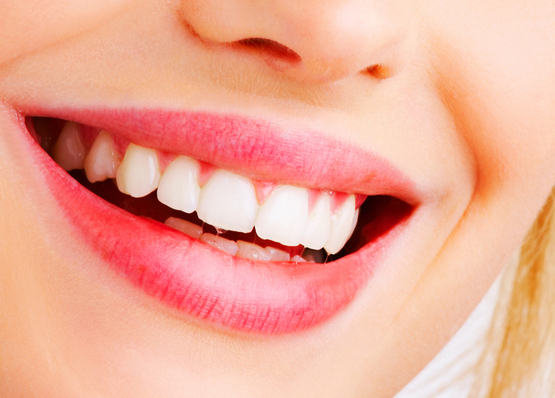 Invisible aligners, lingual brackets or lingual Orthodontics without brackets? 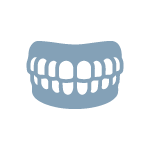 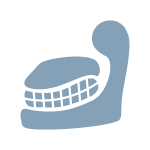 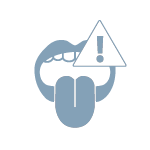 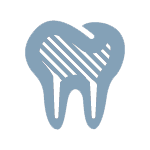 When we talk about invisible orthodontics, we often refers to transparent aligners. 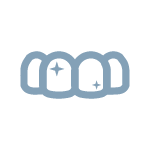 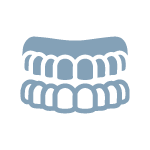 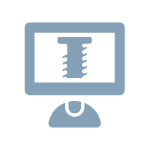 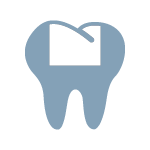 The aligners are less visible compared to metallic or ceramic vestibular brackets and create the optical effect of a transparent film visible on the teeth. 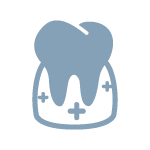 The absolute evolution is represented by the invisible fixed therapy without brackets that arises from the need to perform invisible therapies, without tongue and soft tissues pains or phonetic distortion, commonly caused by conventional brackets therapies. 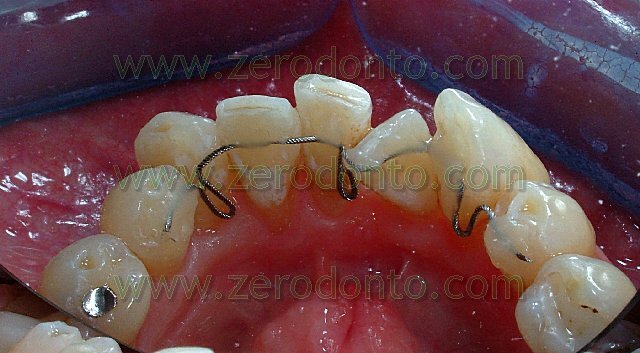 The device without brackets is made of wires thin quite 1 mm and besides being invisible is also confortable, since patients refer they don’t feel its presence after few hours from the first application. 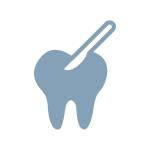 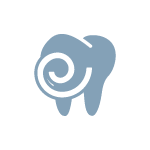 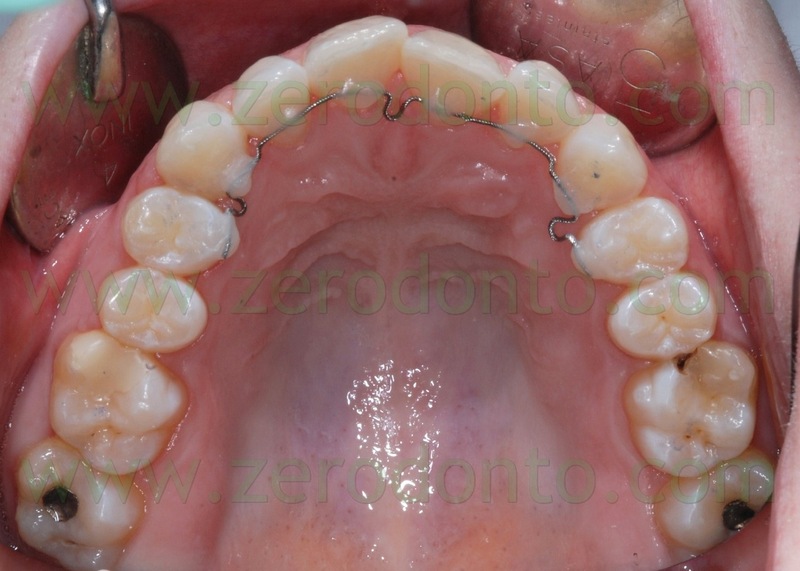 The bonding procedure is similar to those used for classical therapy with brackets, with no risk for dental surfaces. 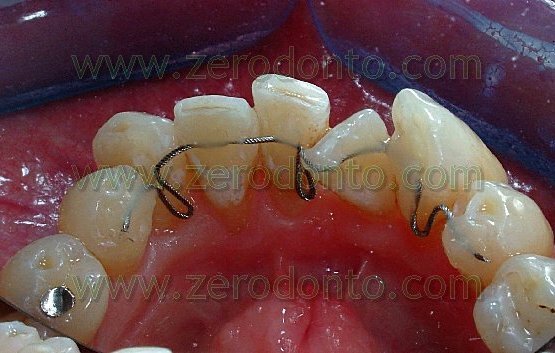 Among the advantages of lingual orthodontics without brackets there are therefore an absolute invisibility, absence of soft tissues pain and no phonetic alteration. 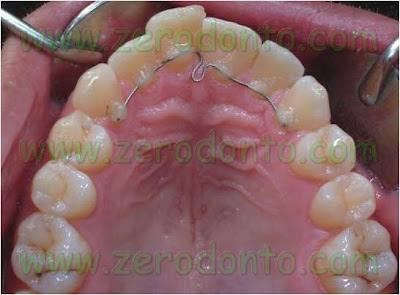 Unlike the lingual brackets, which also allow the realization of an invisible treatment, with lingual orthodontics without brackets discomfort to the tongue and phonetic alterations are rare events and however limited only to the first hours after the device application. 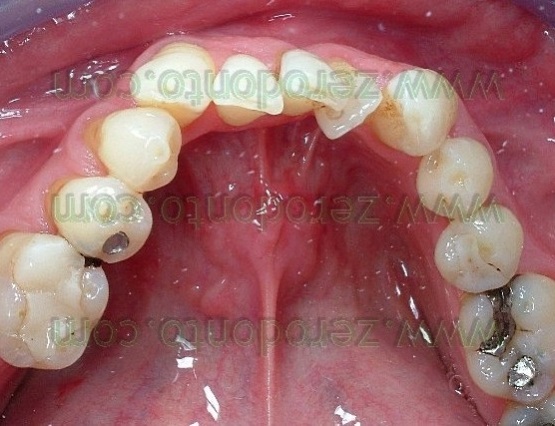 This is possible because the device is thinner and whitout protrusions that can hurt the tongue. 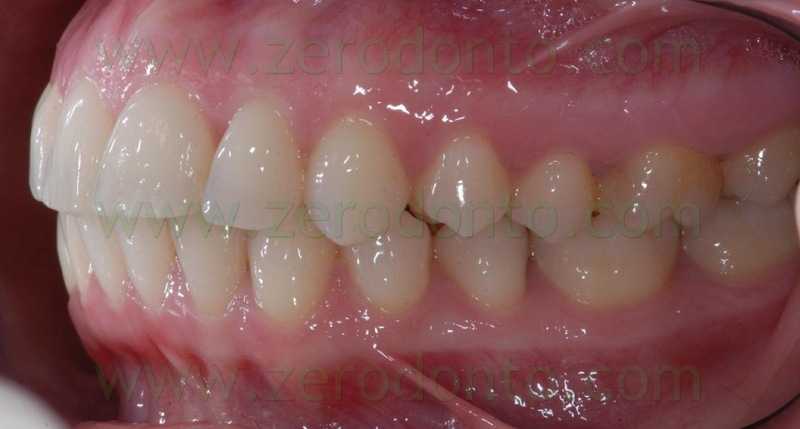 This completely invisible and extremely comfortable therapy allows to treat all kinds of malocclusion (I, II and III Angle Class, open bite, deep bite … etc). 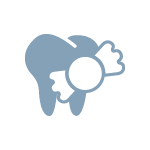 Invisible Orthodontics was presented by Dr. Anna Mariniello in national and international orthodontic congresses (World Society of Lingual Orthodontics, European Orthodontic Society, the Italian Society of Orthodontics) and has been published in specialist journals. 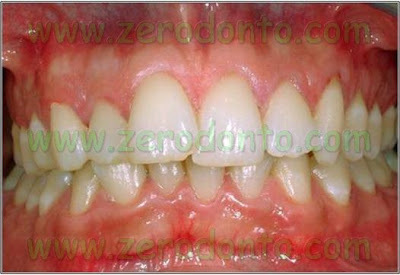 It is also widely documented in the blog of Dentistry www.zerodonto.com, in the category “invisible orthodontics”. 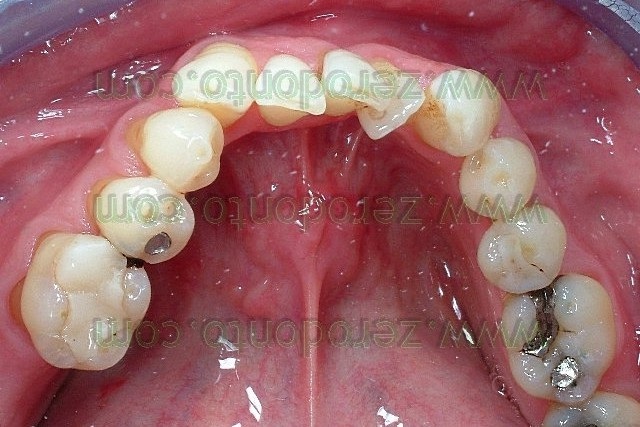 A 28-year old female patient presented with maxillary crowded teeth, the right canine in ectopic position and the mandibular midline moved on the right side. 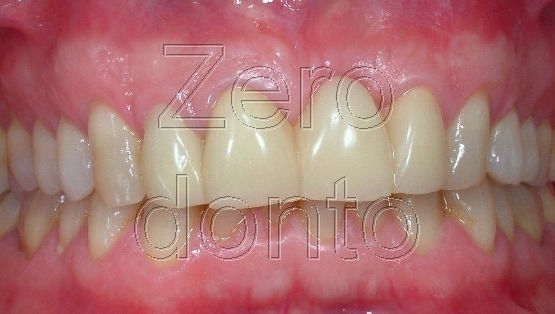 The patient requested for a comfortable and invisible therapy, without phonetic alterations and problems to the gums. 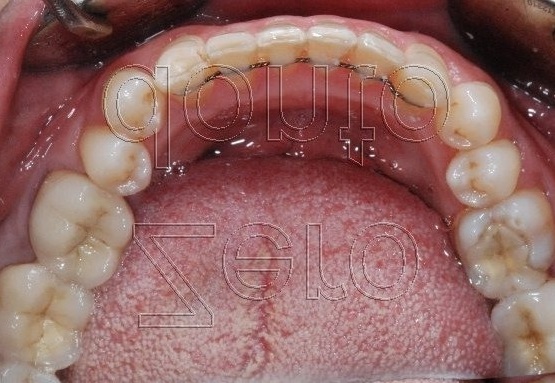 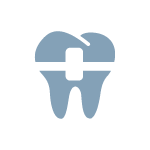 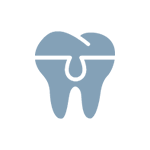 Therefore, the malocclusion was treated with lingual bracketless orthodontics. 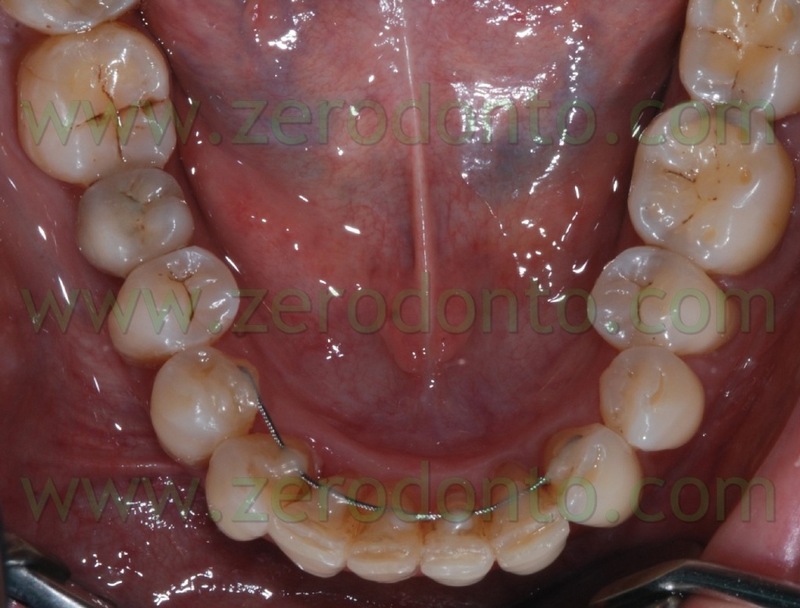 After the application of the retainers, the patient was monitored every 3-4 weeks. 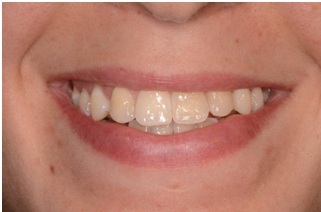 Dental alignment was obtained after about 10 months, with complete satisfaction of the patient. 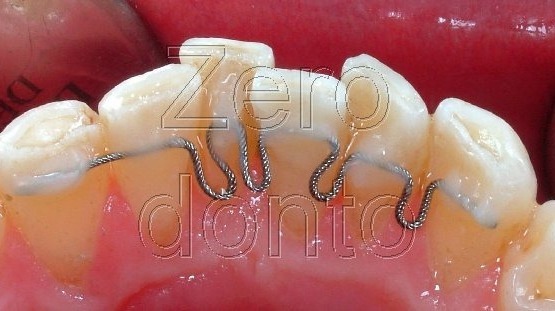 Then, the active retainers were substituted with passive ones. 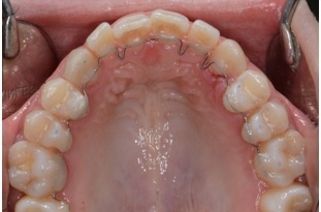 The patient wanted to align the mandibular arch, asking for an invisible and painfree therapy; it was performed with the lingual bracketless technique together with pre-activated retainers. 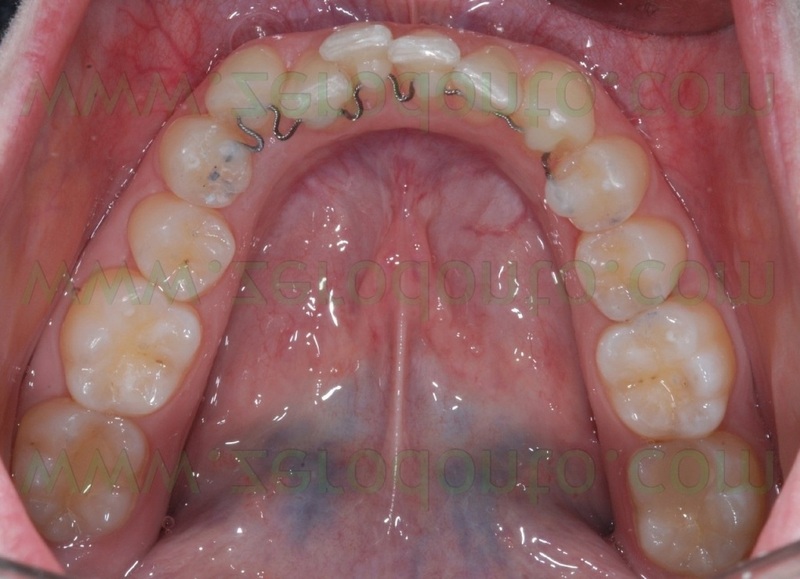 One month after, the crowding was significantly reduced. 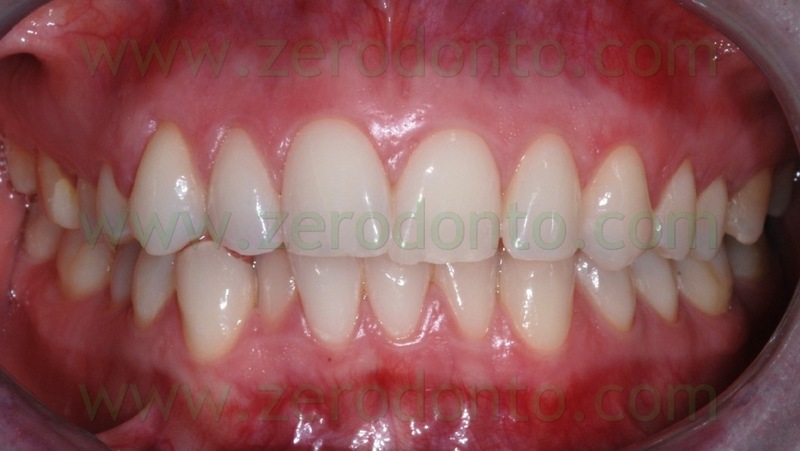 The patient was monitored every 3-4 weeks. 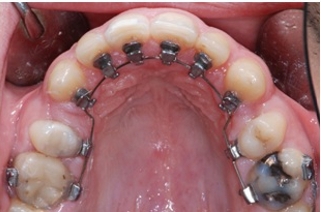 When the alignment was completed, the active retainer was substituted with a passive one. 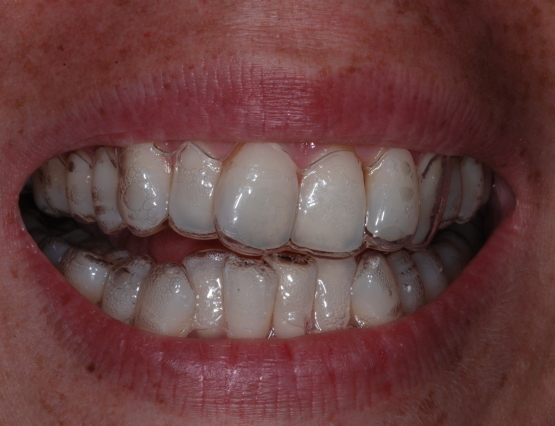 Thanks to this innovative technique, the patient was satisfied because of the absence of tongue and gum complaints as well as the invisibility of the orthodontic appliance. 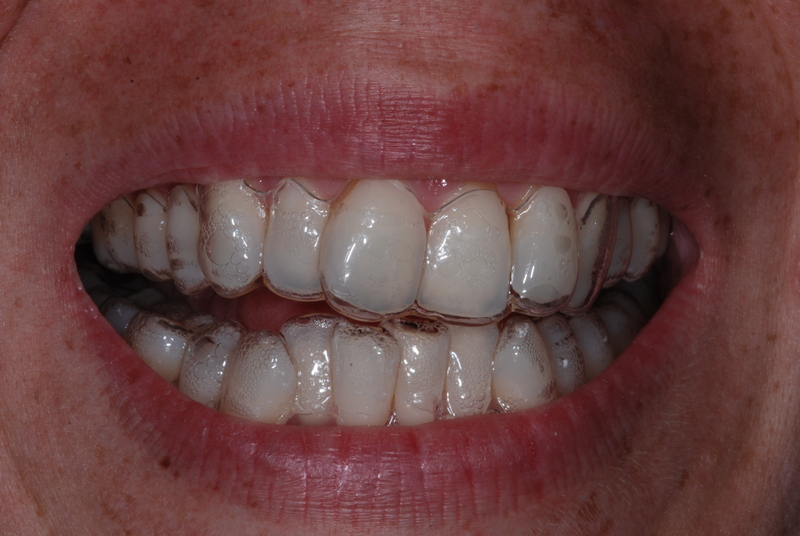 The patient was motivated to align his teeth with an esthetic and inivisible orthodontic therapy. 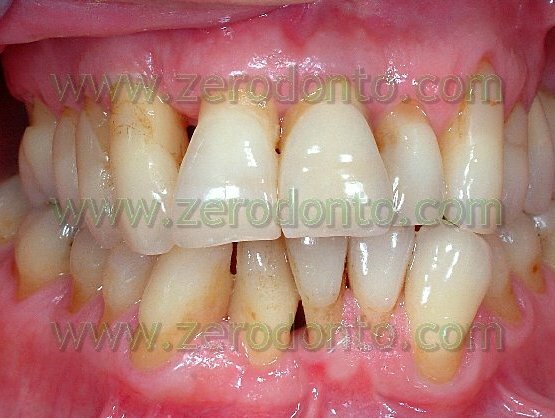 The patient presented with crowded teeth and a severe protrusion of the maxillary incisors. 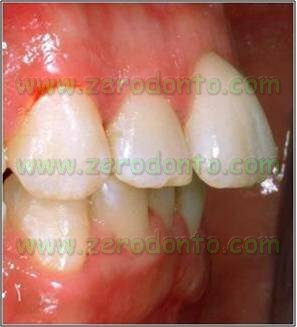 Very complex case of a 62 year-old patient, with a severe crowding at the mandibular arch and treated and stabilized periodontal disease. 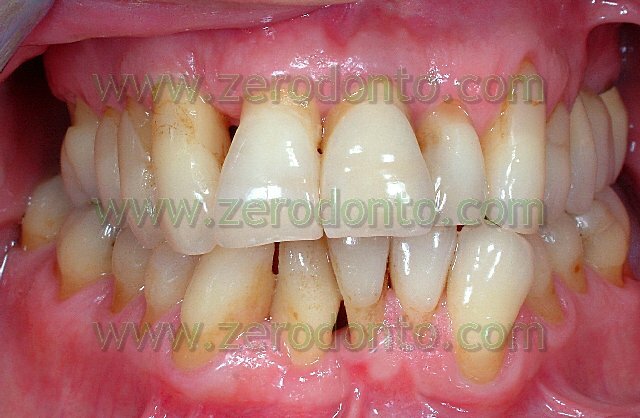 Despite the habitual sessions of oral hygiene, the patient could not keep the front mandibular teeth clean because of their malposition. 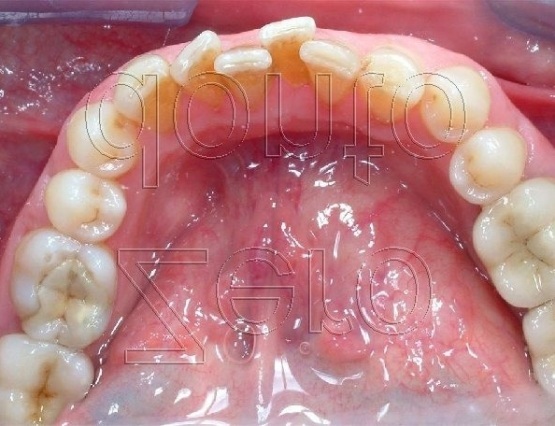 Moreover, he did not want a visibile and annoying treatment. 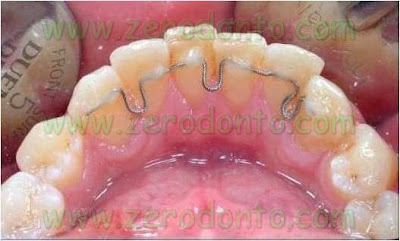 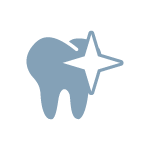 Consequently, it was proposed an insivible orthodontic therapy with active retainers. 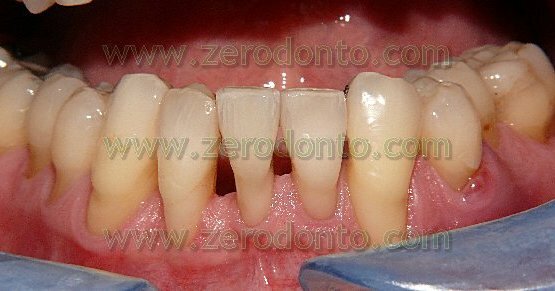 The alignment was obtained after 10 months, performing a slow repositioning of the teeth and frequent sessions of tartar removal. 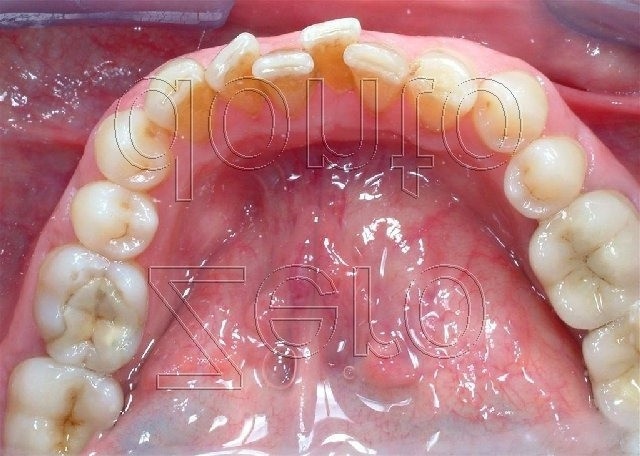 The final outocome was excellent, particularly considering the severe initial condition. 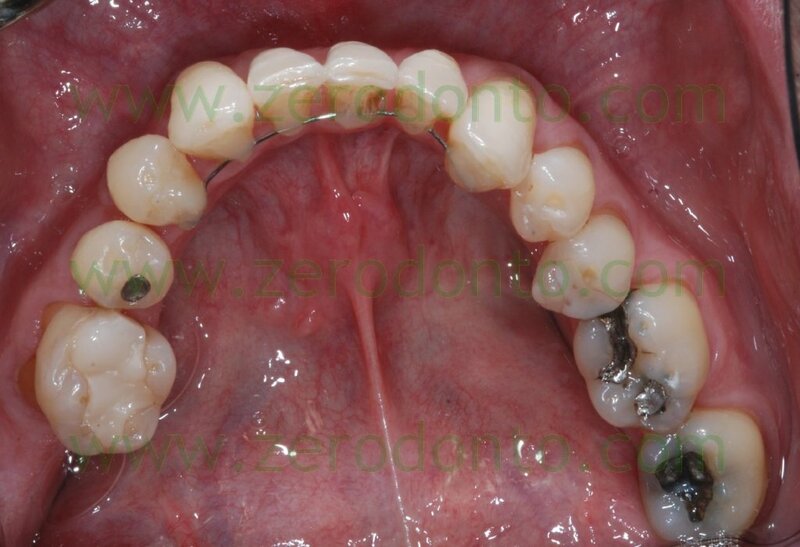 Case of a patient with severe mandibular crowding and difficult oral hygiene maintenance. 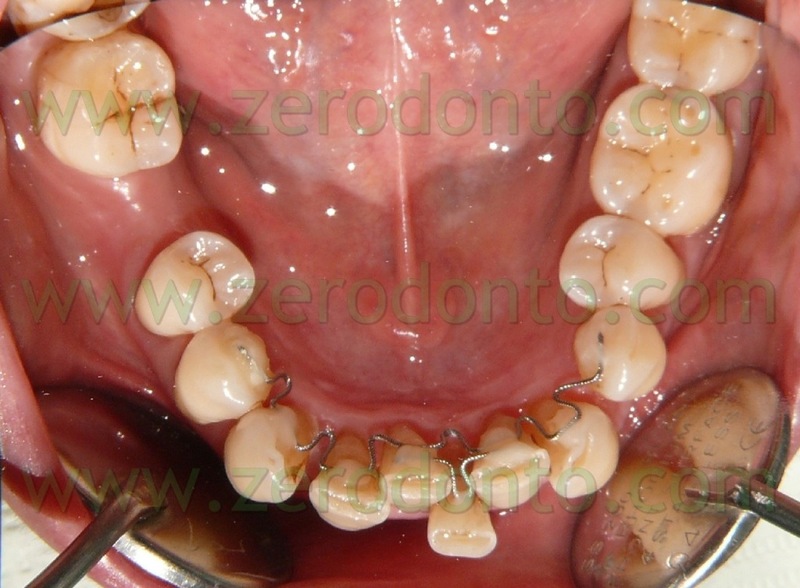 The patient requested for an invisible and painfree therapy; consequently, a lingual bracketless treatment was chosen. 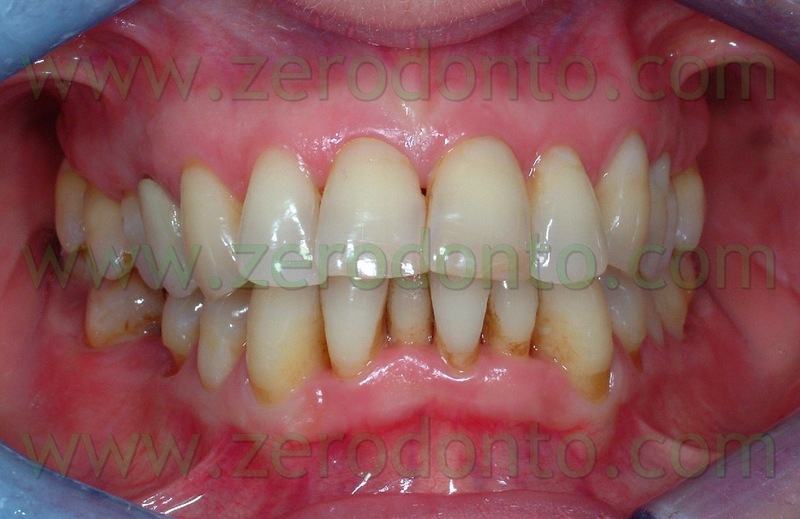 The patient was monitored every 3 weeks and the treatment lasted about 1 year. 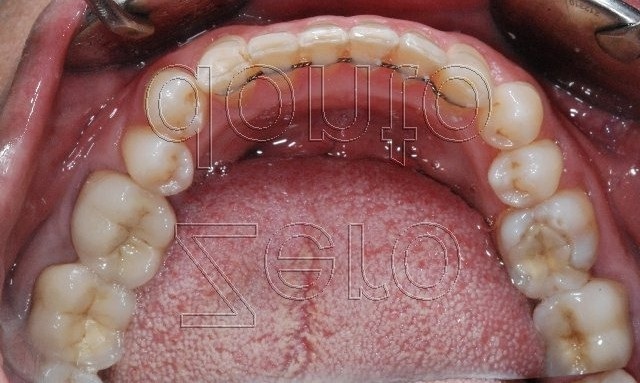 When the alignment was obtained, a passive retainer was applied.